Archibald J. Motley Jr., Self-Portrait (Myself at Work), 1933. Oil on canvas, 57.125 x 45.25 inches (145.1 x 114.9 cm). Collection of Mara Motley, MD, and Valerie Gerrard Browne. Image courtesy of the Chicago History Museum, Illinois. © Valerie Gerrard Browne. Archibald J. Motley Jr., Black Belt, 1934. Oil on canvas, 33 x 40.5 inches (83.8 x 102.9 cm). Collection of the Hampton University Museum, Hampton, Virginia. © Valerie Gerrard Browne. Archibald J. Motley Jr., Blues, 1929. Oil on canvas, 36 x 42 inches (91.4 x 106.7 cm). Collection of Mara Motley, MD, and Valerie Gerrard Browne. Image courtesy of the Chicago History Museum, Illinois. © Valerie Gerrard Browne. Archibald J. Motley Jr., Gettin’ Religion, 1948. Oil on canvas, 31.875 x 39.25 inches (81 x 99.7 cm). Collection of Mara Motley, MD, and Valerie Gerrard Browne. Image courtesy of the Chicago History Museum, Illinois. © Valerie Gerrard Browne. Archibald J. Motley Jr., Street Scene, Chicago, 1936. Oil on canvas, 36 x 42 inches (91.4 x 106.7 cm). Private Collection, New York, New York. © Valerie Gerrard Browne. Motley’s paintings reflect an era of change, from the Great Migration to the seeding of the Civil Rights Movement. 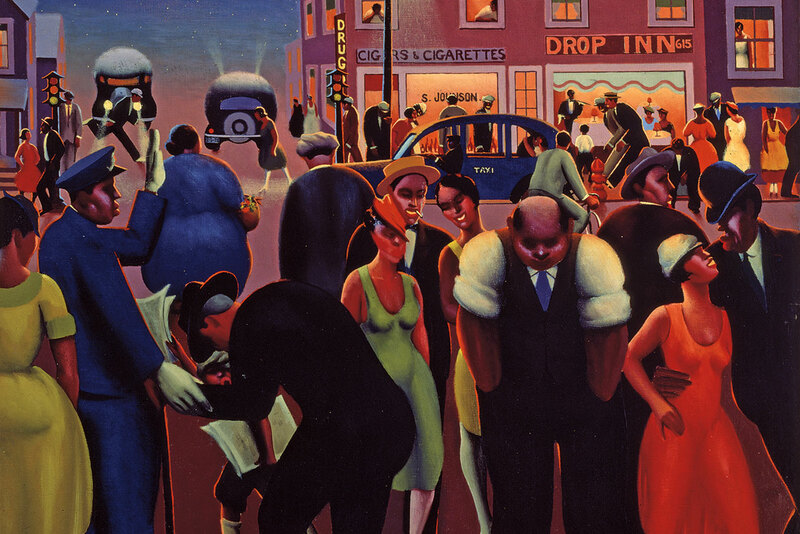 The ground-breaking exhibition Archibald Motley: Jazz Age Modernist created an opportunity for Columbia College Chicago and the City of Chicago Department of Cultural Affairs and Special Events to collaborate. Faculty member Amy Mooney, a scholar on Motley’s work, has connected faculty, staff and students to this artist’s work, curating a dynamic series of citywide programs that will unfold over the course of the exhibition. 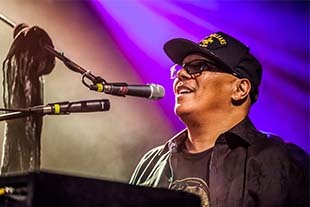 This page provides updates on the latest performances as well as curricular materials developed to support investigation of this innovative artist. The themes of Motley’s work—identity, migration and social change—continue to resonate with contemporary audiences. From spoken word to jazz choreography, we will engage the historic context of Motley’s era, paying tribute to the artist’s unique vision. 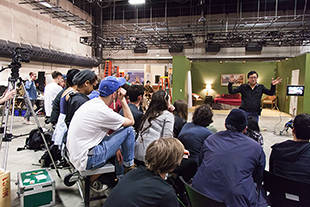 Following our college’s mission of embracing cultural diversity and civic engagement, we will teach, tap and collaborate with partners across the city to bring forth new work that connects the past with the present, providing inspiration for the future. 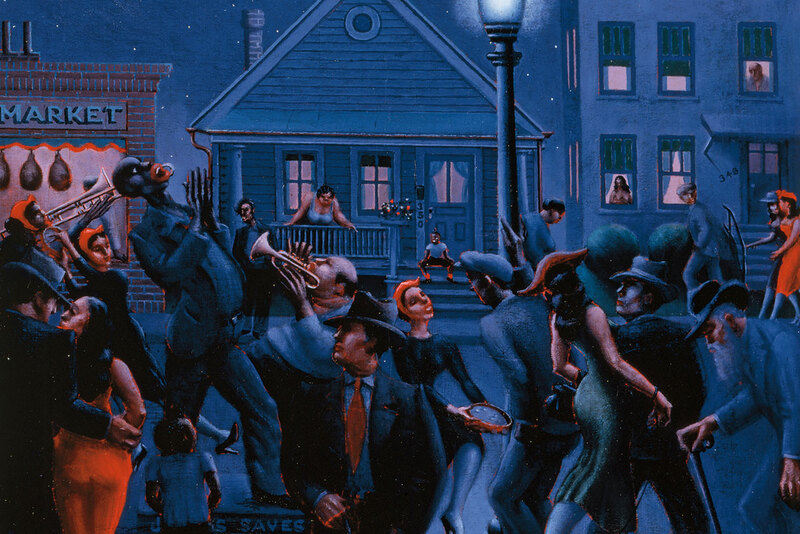 The exhibition Archibald Motley: Jazz Age Modernist includes 42 oil paintings by this modern master, ranging from hyper-realistic portraits to vibrant street scenes in Chicago, Paris and towns in Mexico. Archibald Motley (1891-1981) was one of the first African-American artists to graduate from the School of the Art Institute of Chicago and achieve international acclaim. 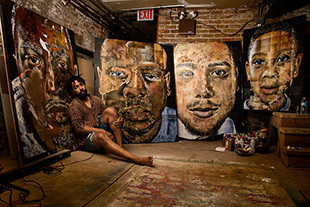 Focusing on African-American subjects, Motley’s paintings reflect an era of change, from the Great Migration to the Chicago Renaissance to the seeding of the Civil Rights Movement. His unflinching investigations of race, class and gender remain relevant and inspiring. Like his contemporaries across the disciplines of literature and music, Motley imaginatively experimented with the formal qualities of his craft, imbuing his canvases with intense chroma, exaggerative gestures and rhythmic compositions. Curated by Dr. Richard Powell and originating at the Nasher Museum at Duke University, the exhibition has traveled to the Amon Carter Museum in Fort Worth, Texas, and the Los Angeles County Museum of Art. After its installation at the Chicago Cultural Center, the exhibition will end its tour as one of the inaugural shows for the new Whitney Museum of American Art in New York City. Produced in collaboration with the Nasher Museum of Art at Duke University. 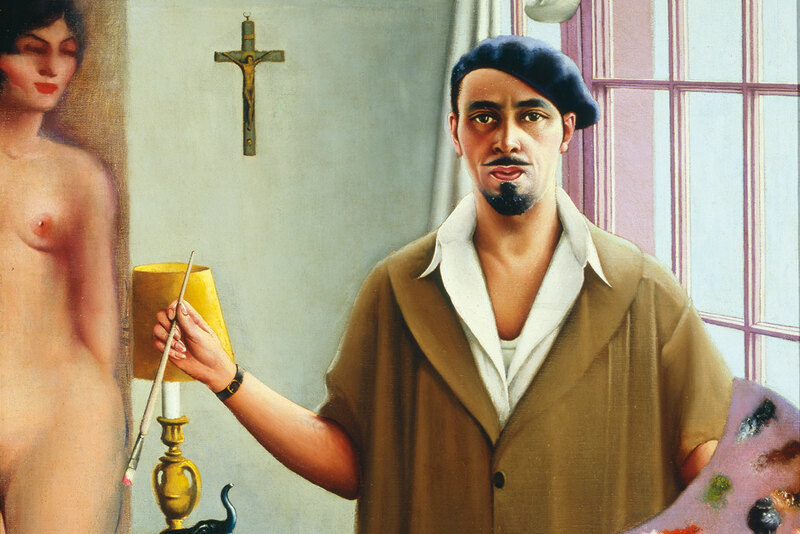 The exhibition Archibald Motley: Jazz Age Modernist inspired contemporary teaching artists such as Cecil McDonald Jr. (Project AIM teaching artist) to consider how the painter inspired his own investigations of identity and community. 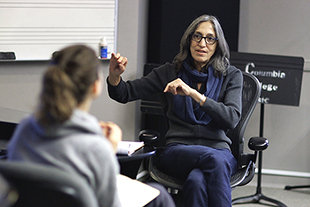 With our partners in the Columbia College Chicago Department of Education and the Center for Community Arts Partnerships (CCAP), we devised a series of teacher workshops that supported the exploration of the Big Ideas in Motley’s work, including identity, migration and community building. We followed the practices of Project AIM, which seeks to foster artists and teachers working together, infusing classrooms with creativity and experiential learning that connect personal experiences to the core curriculum. The resources gathered here span from fourth-grade social studies units to 12th-grade investigations of the self. Additionally, we have two gallery guides to support tours of exhibition—one developed by our colleagues at the Department of Education at the Los Angeles County Museum of Art for grades K-12 and another developed with colleagues from Columbia’s Museum of Contemporary Photography and First-Year Seminar to engage adult learners. We hope that you will visit the site frequently and adapt these plans for your own use and most, importantly, see the exhibition in person! Saturday, March 14 or April 25, 10 a.m.-4 p.m.
Each of these day-long sessions will present K-12 teachers with opportunities to look, learn and connect with the main themes of Motley’s work: identity, migration and the experience of Chicago’s Bronzeville. The program presents strategies to incorporate the visual arts into the classroom with activities that explore the artistic process, approach works of art as a primary source, and emphasize the parallels between the visual arts and core content areas. Educators will hear from Chicago Public Schools teachers who developed lesson plans around Motley’s work and enjoy tours of the exhibition. 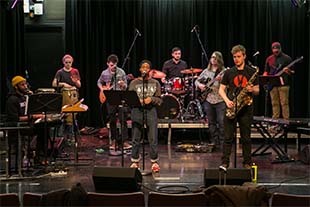 Teaching Artists from Columbia’s renowned Center for Community Arts Partnerships will also share ways of bringing the concepts of community-based learning, arts-integrated curricula and reciprocal partnerships into the spotlight. 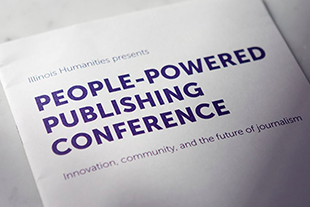 CPDU credits will be available for interested participants. Curriculum materials containing a thematic essay, art images and descriptions will also be available. All programs are interdisciplinary and are developed to meet Illinois and Common Core standards. 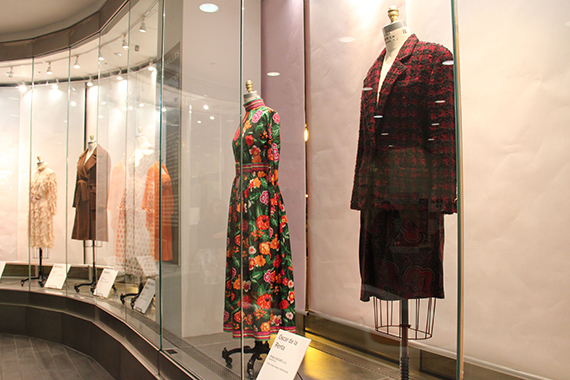 Tuesday, March 24 or April 28 4:30-7 p.m.
Each of these evening events will present K-12 teachers with opportunities to look, learn and connect with the main themes of Motley’s work: identity, migration and the experience of Chicago’s Bronzeville. Educators will receive curriculum materials, hear from CPS teachers who developed lesson plans around Motley’s work and enjoy tours of the exhibition. Columbia College Departments of Art + Design, Business & Entrepreneurship, Creative Writing, Dance, Education and Music as well as The Office of the Dean of School of Fine and Performing Arts, the Center for Black Music Research, the Center for Community Arts Partnership, Creative Services, First Year Seminar, the Museum for Contemporary Photography and Public Relations. 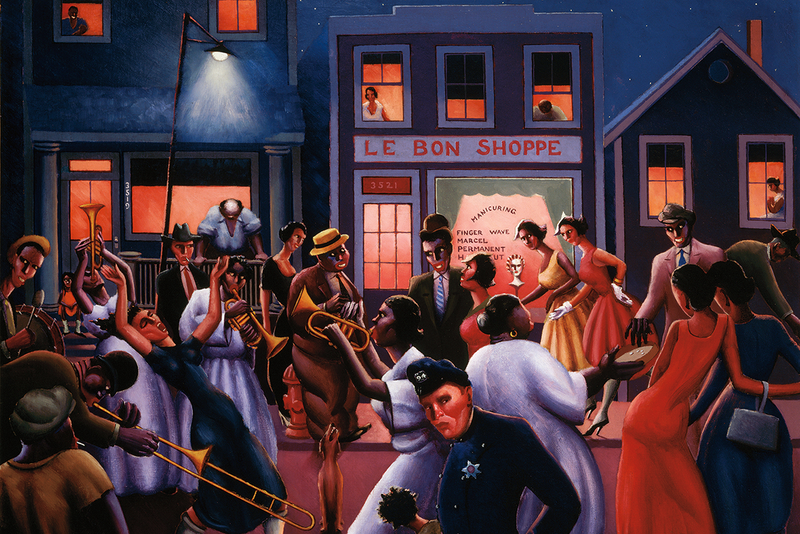 The exhibition, Archibald Motley: Jazz Age Modernist, originated at the Nasher Museum of Art at Duke University and was curated by Richard J. Powell, John Spencer Bassett Professor of Art and Art History at Duke. 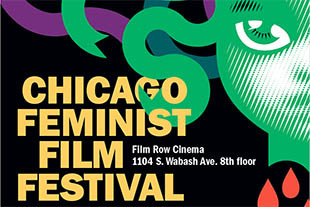 Grant support to the Chicago Department of Cultural Affairs and Special Events provided by the Nasher Museum of Art at Duke University and the Terra Foundation for American Art. Support to the Nasher Museum of Art at Duke University provided by the Terra Foundation for American Art; the National Endowment for the Humanities: Exploring the human endeavor; and the Henry Luce Foundation; and the Wyeth Foundation for American Art. 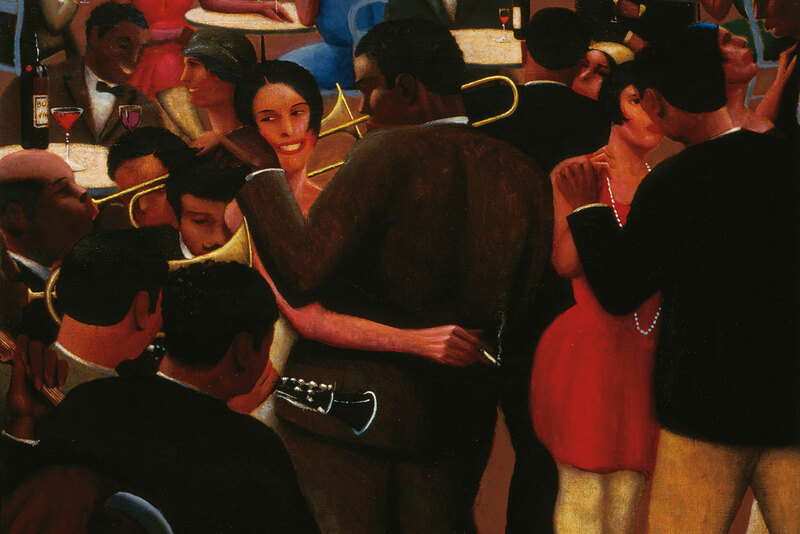 Archibald Motley: Jazz Age Modernist is organized by the Nasher Museum of Art at Duke University. 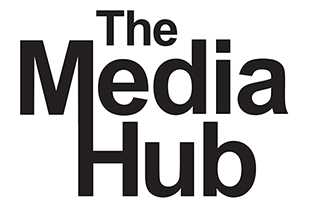 This exhibition is made possible by the Terra Foundation for American Art; the National Endowment for the Humanities: Exploring the human endeavor; and the Henry Luce Foundation. Major support is provided by the Wyeth Foundation for American Art. 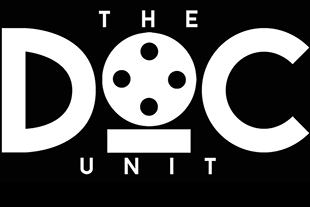 Video content courtesy of the Nasher Museum of Art at Duke University. Archibald Motley: Jazz Age Modernist is showing March 7-August 31, 2015, at the Chicago Cultural Center, 78 E. Washington St., Chicago.